Yahoo! recently spent a lot of money on a new logo. In fact, they tried new logos for 30 days before settling on one that looked like a bar of Cadbury’s Dairy milk. But when I look at the 30 that were rejected in favour of this one, it seems to me that they really didn’t expand their horizons. There are rarefied hill stations of Logo design philosophy that they most definitely did not visit. For instance, did they consider the new Apple iOS7 logo design school of thought? If not iOS7, what about the legendary 2005 school of Microsoft Packaging? Microsoft (at least in the past) believed in a branding philosophy that was quite similar to their approach to software design in things like MS Word. Why focus on the few important features when everything could be shoved into the face of the user through the cunning use of ribbon menus that are designed to make users forget where MS hid the feature they really want to use right now. But these design options are for amateurs. Let’s now see some truly disruptive logo design philosophies of our time. That shalt have no gods other than Microsoft Powerpoint. 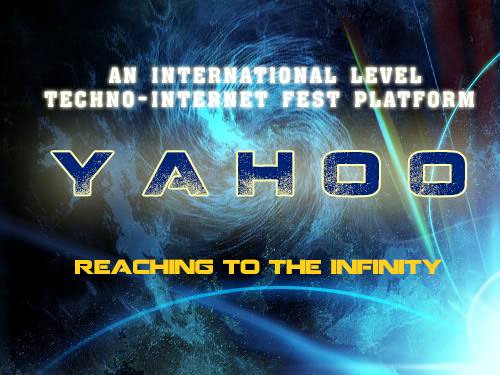 If this didn’t work for Yahoo, I don’t know what will. Perhaps the Indian Engineering College Techno-management Fest school of Graphic Design? Imagine you were ultimately going to make a Flash animation out of the logo. Add something like “Transcending Boundaries” or “Inspiring Innovation” or “Dividing the numerator of ordinariness by zero” at the bottom. 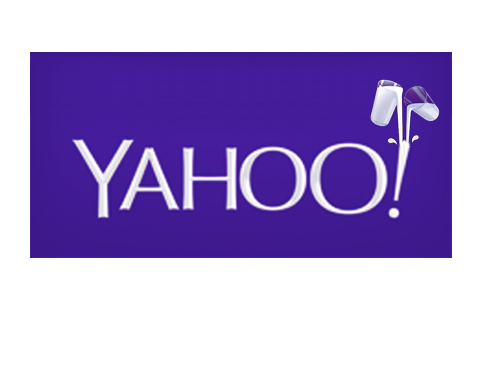 But perhaps Yahoo! is looking for something more. Something beyond what these bleeding edge design philosophies offer. Something that blends the best of these schools into one world beating logo design philosophy that the world outside India has rarely experienced. The Indian Government School of Logo Design. 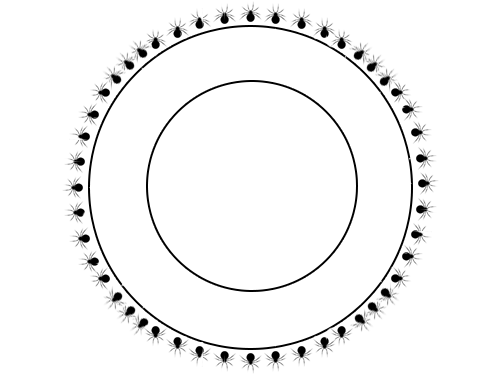 We start, as we always do, with concentric circles. These symbolize the circuitous journey a citizen often has to take when dealing with the government in general. 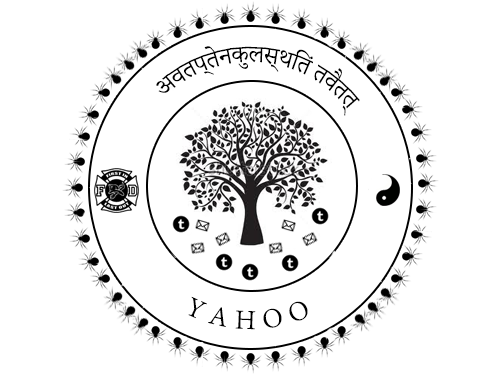 But this is the Indian Government School of Logo Design, and here, we believe in the “Let’s cram the entire Mahabharatha of symbolism into every logo” motto. 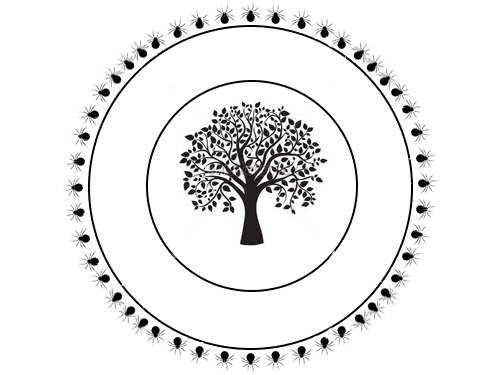 This means that the tree of knowledge has to necessarily drop some leaves and fruit. 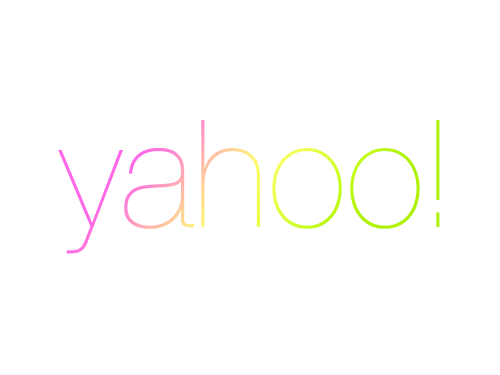 For Yahoo, their tree will drop spam emails and Tumblr blogs. And then we get to Typography. The rules are simple. The final step involves looking at the logo long and hard and finding out if any space has been left out untouched by the wise hand of our graphic design. My eyes immediately fell on the space between the concentric circles at 0 degrees and 180 degrees. What do we fill it with though? In India, we always respect our elders no matter how irrelevant they eventually become, so for Yahoo! we will pick their founders David Filo and Jerry Yang. You, sir, are a true genius. Maybe one of these days when I can afford your time, energy and efforts, I will contact you to design a logo for my blog. Mind you, I need one in the Indian Govt style only, something that reflects the contents of my blog…. Mahabore nu yen saar blog ku per vechurkeL? varavaa kooda ess aagardhukaa? Maathungo. Ayya Ram, Krish Ashok blog kku vandhu avaroda post a padichittu avaroda post a pathi mattum comment pannungo…. Entertaining as always Krish! Loved every word! Looks quite OK to me. Browser/OS? 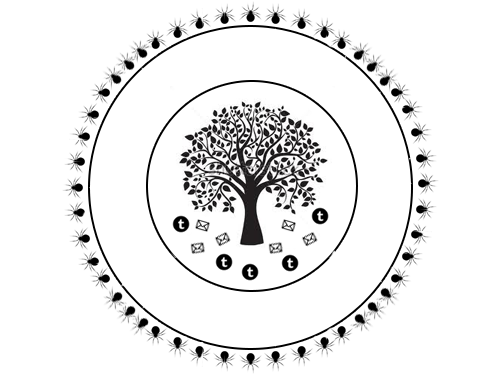 loved your observation on HR dept logo & the college tech fest logo => perfect replica. The govt logos, although cluttered are classy looking. Bwhaha… just what my Friday noon torpor needed. Getting back to work now. Thanks so much. That took longer than usual. Are you well? Truly & Literally ROBLMAO !! This is just brilliant and my year!! Laughed so hard despite this bloody asthma. Brilliance bordering on genius. But your font. The Ls are invisible. Apple School of Fonts, is it? Have guts to comment with our logo !! Really nice to be here for the first time, love the sarcasm and slapstics..thanks for the read. David Filo and Jerry Yang. You mixed it up, I think? Wow… what an approach to visual design maa. I am like your style maa. What is logo mean maa? I know emblem and stamp. I wait for your blogs with great anticipation and you always are better! Today, I was left, desperately mopping up tea I had spilt on my laptop laughing while reading about alternate the logos,construction of. Moral of the story-to read your blog AFTER tea. Or preferably before! Thank you for the smiles! 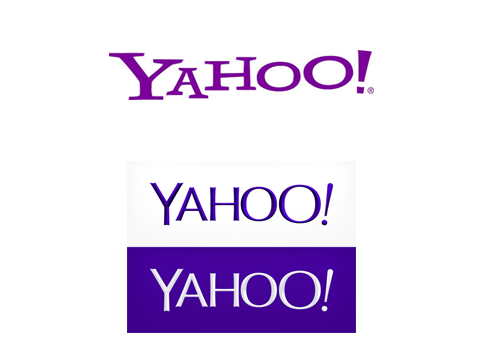 First, i think its total waste to spend employees time on logo re-design. Secondly i came here as one of my friend sent this link. Lookslike these days everyone wants few minutes of fame. There is nothing new in this article you have simply copied stuff from other blogs. All the alphabets, words , sentences & ideas that you used in your comment have been used a gazillon times before. So, why are you simply copy-pasting here? They could use Shammi Kapoor’s ”Junglee” image. Rafi’s song if audio effect is required. Just a wild suggestion…. Hey Krish! What to happened to our infamous P James Magic Show commentator? The post almost feel incomplete without his signature spam. Anyhow, awesomely funny as usual. Also, I am tired of this font. I’ve dedicated a portable browser just for your blog, so that I can enforce a different font. Sorry about the nitpicking. Big fan tho! As always, your posts are entertaining. I’ve shared this on our internal ilist at Y! 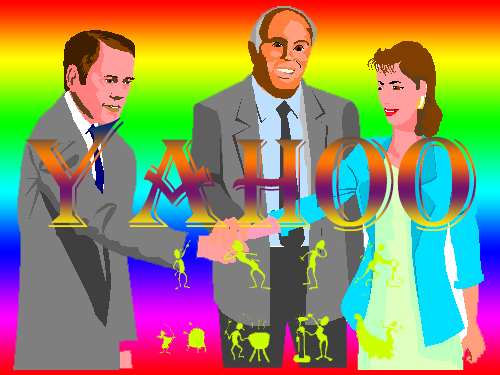 We Yahoos love it! Ullooo ban gaya yahoo ko? I find only six differences between the logo & an owl. You have spelled terpsichorean wrong! If you started charging for content, I would happily send my money order! Very well written – great stuff. I lost it at ‘acting like a mongoose on hot ground’. I want to start a new white guy trend and tattoo hat across my back. The Indian Government School logo is missing a map in the background and a lotus at the bottom. The committee might have other suggestions too. I think you meant terpsichorean and not terpischorean as per google…. BTW, Krish – How about a having a widget that would make it easy for us readers to share your post on other social forums. It is very interesting and informative. There is a much to learn in the art of making logo designing. Haha Interesting post comparing with cadbury dairy milk. No, the logo looks too clean to be from the Indian govt school of design. The letters inside should always be some bold sans-serif and all caps. 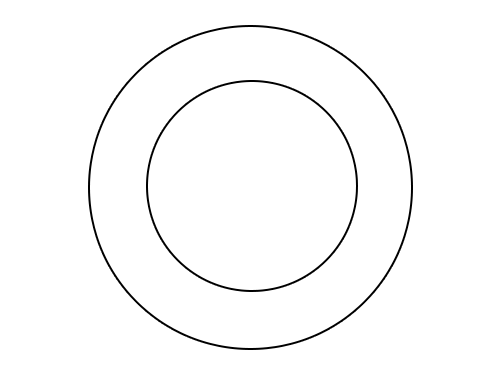 The concentric circles are too thin and don’t look like they have been printed on blotting paper. Consequently the writing is a little too legible. But I think the govt has something it can work with. the Samsung Galaxy Note 3. Do you have any specific quick guide concerning it? Could not able to control loffter after reading at work.. Manager would love to say अवतप्तेनकुलस्थितं तवैतत् to me right now. to work now back online”Finally found a legit site. free magazne directly from publishers, it doesn’t necessarily mean free magazines don’t exist. hello!,I like your writing very much! proportion we keep in touch more about your post on AOL? May be that is you! Havkng a look ahead to seee you. 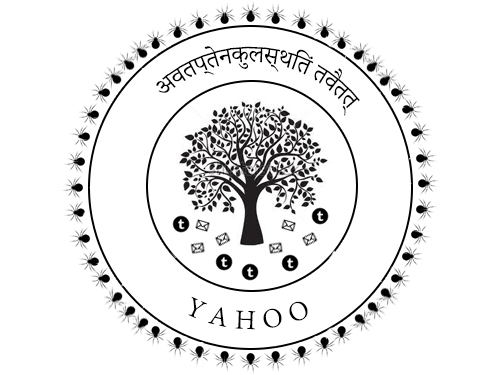 Wonderful post..Yahoo is thinking to create new Mascoot soon. along with the more targeted web traffic you’ll get. Are you currently spending money on internet search engine rankings and not getting the desired results. reason why you shouldn’t go that route. Are you new to the area and simply want links recommendation?